Coming back from it's hugely successful debut, Agile Tauranga is back for 2018. Being agile is all about being able to quickly adapt to, anticipate and lead change. You have to have been living under a rock for the last few years to not have heard about 'Agile'. Agile Tauranga brings together a collection of international speakers making for an event not to be missed. 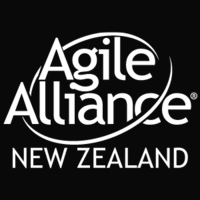 This is an awesome local opportunity to connect with those excited about the power of Agile and listen and talk to four leading Agile experts from Agile Alliance New Zealand who have spoken around the world. Agile Alliance NZ, as a body, was formed to create and sustain a nationwide community who actively advocate for the values and principles of the Agile Manifesto. This event will be split into three parts with morning tea, lunch and afternoon tea provided. We will start the morning with presentations from Fours Agile practitioners and in the afternoon move on to interactive workshops/Panel Q&A sessions and a solution room where you can discuss with others any specific challenges you maybe having. So bring your ideas, questions, thoughts and enthusiasm and we look forward to seeing you there! Shaping culture... how might we build a high performing culture in business? Colart Miles is an experienced leader and mentor with a rich and interesting life history. Born and raised in Sub-Saharan Africa, Colart has witnessed many human extremes including a wide range of tragedies and triumphs. His firm belief in the immense potential that lays dormant in each of us drives his approach to life. Colart is a well-known innovation coach and a specialist in accelerated delivery practices such as Agile, Kanban and Lean. He plays a central role in the local startup ecosystem including Startup Weekend, Flux Accelerator and Lightning Lab. Colart is pursuing his passion for helping kiwi organizations to speed up innovation and to find new futures. His approach to life is intense, insightful, compassionate and highly productive. Sandy Mamoli is an Agile coach and consultant at Nomad8 with a focus on culture and leadership. She moved to New Zealand in 2007 (for a brief trial period) and has been living in Wellington and Auckland ever since. Sandy is a former Olympian, a geek, a gadget junkie, international speaker and co-author of "Creating Great Teams - How Self-Selection Lets People Excel (Pragmatic Bookshelf, 2015)". She holds a masters degree in artificial intelligence and knows quite a lot about Agile. The reality of implementing Agile in a R&D environment. Lisa is an accomplished engineer who is passionate about crafting the right product and solving the right problem using state-of-the-art technologies. Lisa is well-versed on Agile as she has been in the R&D space using Agile for the past decade and has been through a few iterations of implementing Agile in an R&D environment. We’re proud to have her speak at the Agile conference this year to share her wealth of experience in cutting-edge technologies. Lisa will be discussing the reality of implementing Agile in a R&D environment, how to translate the theory into practice, and, sharing stories about how to deal with the difficulties that come with implementing Agile to fit the organisation. Ant Boobier leads a team of coaches at BNZ. He has been doing agile for more years than he cares to remember; RAD in the 90s, XP in the 2000s and a magic mix of Lean UX and agile today. He is a people geek who loves a good experiment. I moved to New Zealand from South Africa for a different life in the Pacific and found part of that new life in agile software development. For the first time in a long while software development made sense again, focusing on the customers and their needs. With this new found mindset I became a certified scrum master and certified scrum professional. To give back to the community I have been the organizer, a co-organizer, and a co-treasurer of the Christchurch Agile Professional Network and Board member to Agile Alliance New Zealand. Lucy is an experienced senior leader with over 20 years’ delivering customer facing, business critical digital products. Accountabilities have spanned people, business and strategy leadership. Currently at Transpower NZ as Head of Customer Solutions, Lucy is an insightful and empathetic leader, deeply committed to building a culture of inclusion, respect, and personal growth. 0930 Colart Miles : Shaping culture... how might we build a high performing culture in business? 1015 Lisa Wong : The reality of implementing Agile in a R&D environment, how to translate the theory into practice, and how to deal with the difficulties that come with implementing Agile to fit the organisation. 1115 Alex Sloley : The Product Owner and Scrum Master Brain Transplant! Mwuhahahaha!!! 1200 Lucy Hill : Who’s afraid of Agile? Agile Fundamentals – Whats the basics I need to know? The Product Owner Role, Priortisation and Delivery Value – What does the Product Owner do? How do I prioritise requirements and what is a backlog? Retrospectives - 5 stages of a retrospective. Different techniques & approaches that can be used. Building Healthy Teams – Tips to build (and identify) healthy teams. The Solution Room is designed to provide peer-supported advice on individuals’ most pressing problems and help you with specific challenges you've encountered on your way to a more Agile way of working.